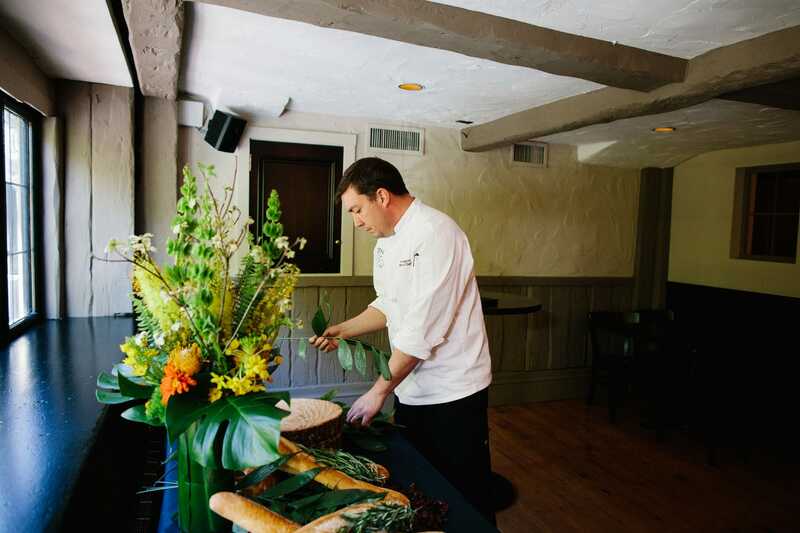 A Brooklyn native and long-time Massachusetts resident, Sean MacAlpine found his calling to cuisine in 2002 when he filled in for a chef at Coastal Passenger Schooners in Mystic, Connecticut. Sean’s experience in the kitchen is quite extensive and includes a cooking gig at Five-O Shore Road restaurant in Ogunquit, Maine, where he worked under his brother, Jonathan MacAlpine. He eventually moved back to the Boston area and opened Main Streets Market and Café in Conord, MA for dinner service. It was 2006 when Sean met Robert Fatham, the Executive Chef at Azure (now City Table) at an open mic night in Lynn, MA. Sean gave him his phone number in case he was ever looking for cooks and a week later he received a call from Robert asking him to come in and work. 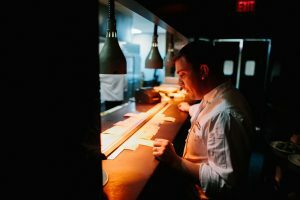 From his Line Cook position, he worked up the ranks to Sous Chef, Executive Sous Chef, and eventually to Executive Chef, which is the position he has now held for four years. He strives to focus on healthy, fresh ingredients and wants to implement them into as many dishes as possible. Azure (City Table) is also the spot where Sean met his wife, Beth. They now have a 3-year-old son named Benjamin. In his spare time, Sean loves to garden and spend some quality time on the golf course. Be sure to stop by City Table at The Lenox Hotel and taste some of Sean MacAlpine’s best work! Click here to learn more about some of our great dining options, including our Farmers’ Market to Table package and our very own rooftop garden!